There is no event, especially event as the Grammy Awards that can pass without some special moments that will stay remembered years after. Furthermore, this type of shows is to make history and, Grammy 2019 was definitely another proof of it. 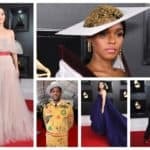 we are bringing you the most memorable moments that marked Grammy 2019. 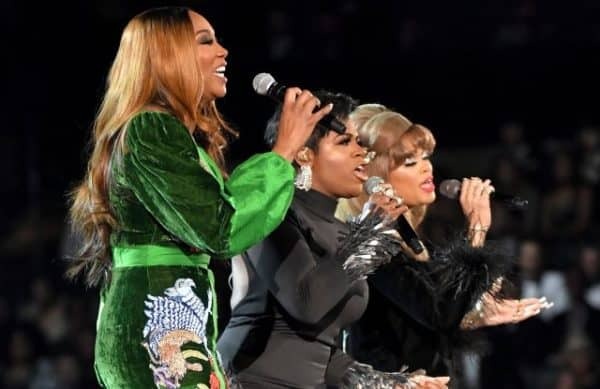 There was definitely a surprising beginning of the show this Grammy 2019. 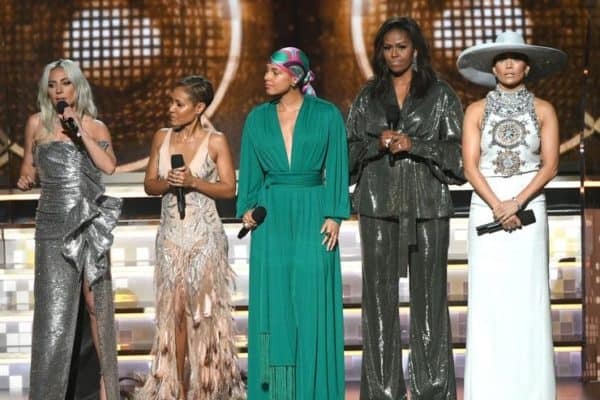 The night started with Alicia Keys, and four other ladies making her company on the big stage. The biggest surprise besides Lady Gaga, Jada Pinkett Smith and Jennifer Lopez, was the former First Lady Of USA, Michelle Obama. There is no person on the world that doesn’t enjoy the amazing voice of Bradley Cooper, singing the hit song from the film “Shallow”. But, as he wasn’t hosting the Grammy 2019, Lady Gaga, had to perform this hit which take her two awards, alone. And, we have to admit that she did it perfectly. She took the both roles in the duet, and everybody was delighted by her rock-’n’-roll edge, and even more her wardrobe . She was wearing a bedazzled duet for this perform. Another moment to remember during the show was the performance of Camilla Cabello. This Latino Diva became the first Latina to open the Grammy. She was singing her hit song “Havana”, which reference her grandmother’s childhood in Cuba. 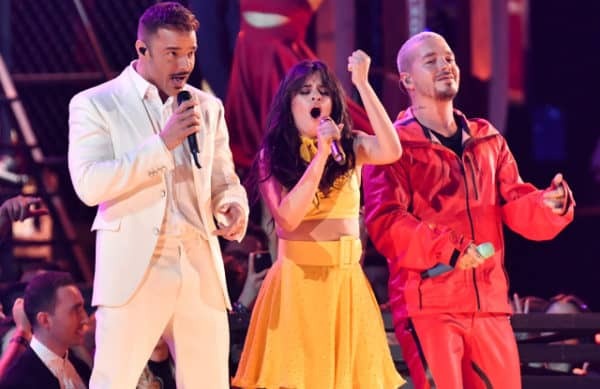 Ricky Martin, J Balvin and Young Thug make her company on the stage. Arturo Sandoval, the famous jazz trumpeter was charged for the Latino music. 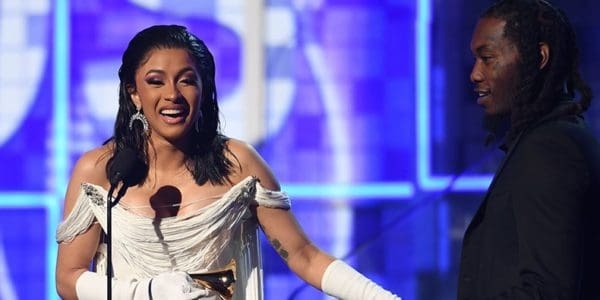 Cardi B will definitely enter in the music history as the first solo woman to win the award for Best Rap Album for her album “Invasion of Privacy”. 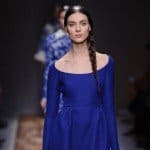 She accepted the award on the stage next to her on-and-off husband, Off Set . 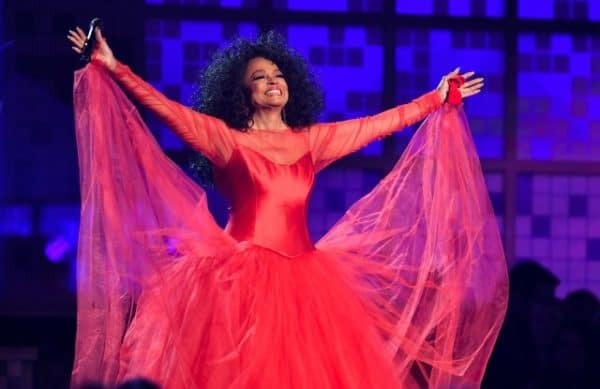 Dianna Ross celebrated her 75th birthday on the Grammy stage. Introduced by her grandson, she hit the stage wearing a luxurious red ball gown. She performed her best “The Best Years Of My Life” and “Reach Out And Touch (Somebody’s Hand)”. Happy Birthday to her! 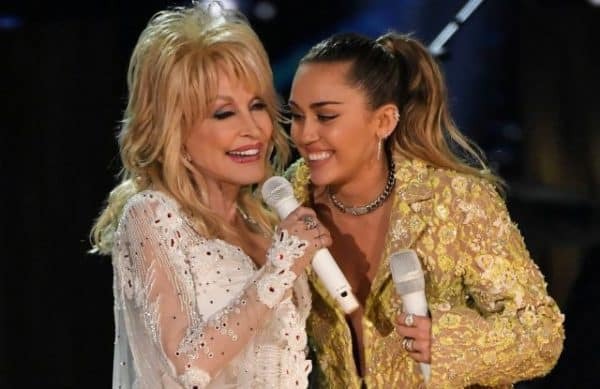 Miley Cyrus get the chance to sing in tribute with her godmother Dolly Parton. 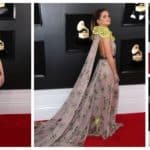 She hit the Grammy stage to make her company to sing “Jolene”. The tribute was also featured by Katy Perry, Little Big Town, Maren Morris and Kacey Musgraves. This was definitely one of the best performances at the whole show. Janelle Monae, wearing a futuristic latex outfit, together with her dancers wearing the iconic pants from her “PYNK” music video, made a performance to remember on her single “Make Мe Feel”.